Last year, Pitchfork shouted out the self-recorded/released debut track of London's Oscar Scheller—or just Oscar—called “Never Told You”, after which the classically trained artist was dubbed “New Band of the Week” by The Guardian. 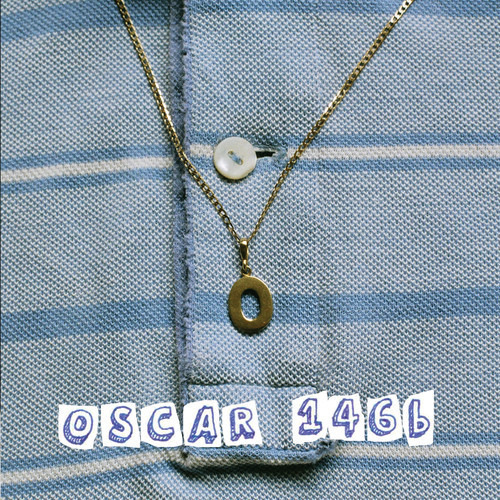 Following high praise from those and other camps, plus a year back at the drawing board, we find ourselves blissfully in receipt of Oscar's latest effort, a new 4-song bedroom garage-pop EP called 146b. The lead track “Sometimes” introduces Scheller's rich (Morrissey incarnate) baritone with a hooky opening that's only the beginning of the EP's general invocation of gleeful hook-induced bodily movements such as The Foot Tap, The Head Bop, and occasionally even The Sway With Your Eyes Closed. The third track, “Open Up”, more mellow than the rest, leans heavily toward a studio sound, particularly in its 90s psych-pop throwback of a chorus. Wistful romance and evocative electric guitar lines, in turns clean or fuzzed-up, go hand in hand on each earnestly personal song. The EP is now available for purchase on iTunes. Catch it streaming via Soundcloud below.